Description: A free customizable WBS template is provided to download and print. 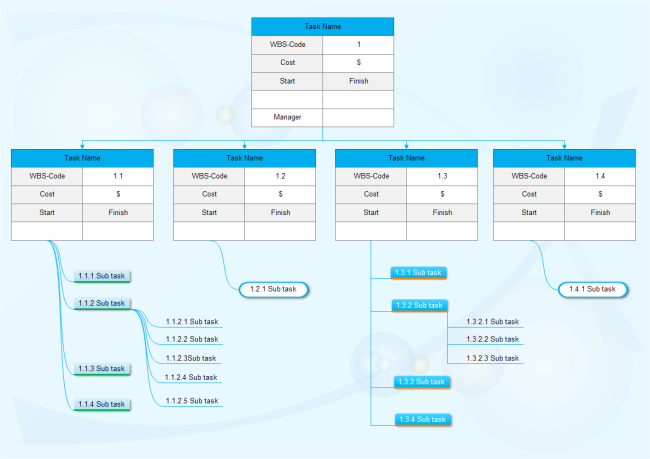 Quickly get a head-start when creating your own WBS diagram. Considering the generic feature of WBS diagram when designing, we aim to offer this template for you to reflect any kind of WBS diagram. Discover more tools for project management.